You hit the gym religiously, pushing yourself to train harder, longer and heavier than the last time, because that's the price of progress. 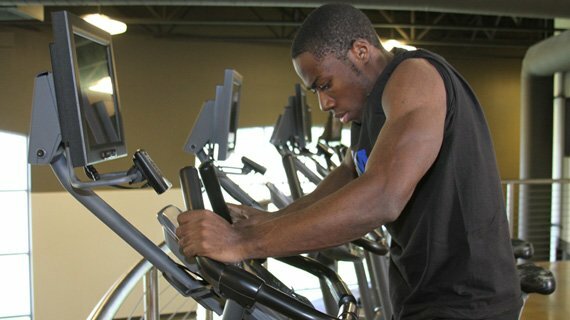 Skipping a single second of cardio is a sin, so instead of whining you just do it. The payoff for your sacrifice and dedication? A big, ripped physique...but (and this is a huge but) only if your meal and supplementation plan is on point. Without the right nutrients, most of your gym efforts will be wasted. So what are the key nutrients? How much do you need and when is the best time to take them? We collected online questions and FLEX Senior Science Editor Jim Stoppani answered them so you can get the most out of your training. We'll cover a lot of territory, but if we miss something that you absolutely need to know, it's as easy as dropping the Doc a line at facebook.com/flexmagazine. Q: I was wondering if you had any tips for bulking up on a budget. 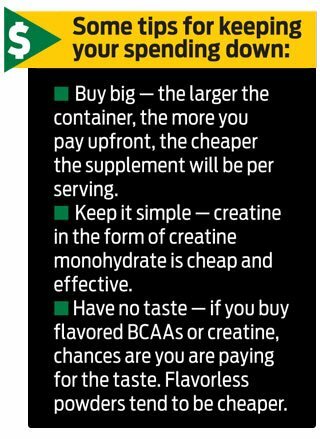 What supplements, besides creatine, are absolutely necessary but won't break the bank? Also, how necessary are supplements with respect to making the huge gains that are claimed, and how safe are they? Do the long-term effects outweigh (no pun intended) the short-term gains that they provide? Since it is so fast-digesting it aids muscle growth around workouts. To help cover all your micronutrient bases. Which is fairly cheap and very effective. They may help promote muscle growth. Q: Should I be cycling my supplements? If I am on them for an extended period of time, will they stop being as effective? If so, what would be a good cycle? There really is no need to cycle supplements. They are nutrients that are found in the food we eat, so you wouldn't be able to truly cycle off of them anyway. There was once a belief that the receptors in muscle cells would "burn out" and not be so effective at taking nutrients into the muscle. This is more hyperbole than fact. That said, you certainly can cycle off of these supplements for financial reasons if you want to give your wallet a break. One study found that men taking creatine who stopped for four weeks lost no muscle mass or strength. So it is possible to stop some supplements for a while with little detriment to your physique or your performance and then go back on. Just limit the "off" cycle to four weeks or less. Q: I just got my hands on some beta-alanine. I was wondering if the tingling sensations and the flushing of the skin were normal in all brands. It doesn't hurt, but it does feel funny. Yes, that is normal. It's known as paresthesia and is caused by beta-alanine binding to nerve receptors, which causes the nerves that are below the skin to fire. This sensation is enhanced when taking beta-alanine along with caffeine, which is in many pre-workout formulas. It does go away with continued use. Q: What is the proper intake of proteins per meal? Is it true that the body can absorb 30 grams per meal? Is there such a thing as too much protein? I see some people eating 80g of protein per meal. You should shoot for about 30-40g of protein per meal. How much protein a body can absorb depends on the individual and what they have eaten prior to that meal. Q: I'm trying to gain mass but I work out in the morning, so my pre-workout nutrition is hard to get in. I know that I should take my nitric oxide booster on an empty stomach, but how do I also get in my protein shake and carbs? Take your NO booster as soon as you wake up. Then, 30 minutes later, drink a protein shake with about 20g of whey. Also, have about 20-40g of carbs from fruit to help stop the catabolism from your night of sleep and to fuel your workout. Q: I've heard a lot about carb cycling - what is it? Why should I do it? What is an example of carb-cycling for a 200-pound guy? Carb cycling refers to alternating periods of low- and high-carb intake, maximizing both fat loss and muscle growth. For fat loss, your default diet would be somewhat under 1g of carbs per pound of bodyweight. You would cycle in a high-carb day (greater than 2g per pound) every five to seven days. Since carb-restricted diets can lower your metabolic rate by decreasing leptin levels, the high-carb day helps to reset your leptin levels and keep your metabolic rate up. To add size, your default diet would be 2-3g per pound. You can go lower, either to about 1g per pound on non-training days, or you can have two low-carb days after every three or four high-carb days to minimize fat gain. Q: I am a hardgainer and I feel bloated a lot of the time and don't have much definition or muscle hardness. I believe I have gained water weight and not fat. Do you recommend using a diuretic? I heard that diuretics can result in loss of strength and muscle. Also, I slack off on breakfast and was wondering if taking a weight-gainer shake in the morning would help me. A natural diuretic won't fix the issue. Water weight tends to be a transient thing. If it's chronic, make sure you are not consuming excessive amounts of sodium. Although we don't typically recommend cutting back on sodium, you may be more sensitive to sodium than most. In that case, if you are getting in more than 4,000 milligrams per day, consider cutting back. High sodium culprits include deli meats and other cured meats, and canned and packaged foods. Certain medical conditions can also cause water retention. So if you think the water weight is a bit excessive, see your doctor. I only recommend weight-gainers for those who are really on the thin side and have difficulty adding weight. I would suggest a meal replacement shake for breakfast. Q: I work out late at night and have a postworkout whey shake right after training and, one hour later, a casein shake before bed. Although I am trying to gain mass, I avoid postworkout carbs because I don't want to gain any fat. How do I take ZMA before bed? There is no real time when I can take ZMA on an empty stomach. Since you finish your workout so close to bedtime, you can combine 20g each of whey and casein into one post-workout shake. I would also suggest having some fast-digesting carbs at this time. Insulin sensitivity is lower at night and I typically recommend avoiding carbs, but since you have worked out, any carbs you consume at this time, regardless of how late it is, will be used for recovery and to boost muscle growth - without adding body fat. One hour after your post-workout meal, take your ZMA and hit the hay. Q: Do you have any tips for getting rid of that last inch around the belly? HIIT cardio and weightlifting have left me with just a little bit more to lose. That last inch is the toughest. The only way to get rid of it is to burn even more calories than you consume. So to consume even fewer calories, consider dropping some extra carbs from your diet, such as at your pre-workout meal and/or lunch. To burn more calories, consider turning up your high-intensity interval training by going for a few more intervals each time. Q: Does alcohol interfere with fat loss? Yes, alcohol can aid fat gain. It does this by increasing the production of a metabolite in the body that creates more fat. Alcohol also can blunt muscle growth by decreasing testosterone. Plus, it messes up your sleep, causing you to release less growth hormone, and GH is not only important for muscle growth but also encourages fat loss. Q: As I am getting older, I find it harder to lose the fat that I gain during pure mass phases. I heard it was not possible to build muscle and lose fat at the same time. Is that true? Most trainers will tell you that you can't build muscle while losing fat, but that is not entirely true. It's just that when you're doing both concurrently, you won't maximize results for either. But who wants to gain fat on purpose, anyway? The best way to build muscle while keeping fat off is to keep protein high and carbs low most of the time, and cycle in a few high-carb days per week. Whether you are on a low-carb day or a high-carb day, keep protein at 1.5-2g per pound of bodyweight. Q: I do cardio right after weights. Should I have my postworkout shake and carbs before cardio or after? If I wait until after cardio, will I miss my postworkout window to stimulate muscle growth? You should wait until immediately after the cardio is over to consume your protein and fast carbs. This is especially true for the carbs, which would blunt fat burning during the cardio workout. Don't be worried about missing your post-workout window . . . as long as you prepared properly with a pre-workout protein shake. The pre-workout protein shake provides energy during the workout and also serves as a post-workout protein source to stimulate muscle protein synthesis. Q: I was thinking of loading glutamine, protein and creatine in my morning pre- and post-workout shakes with fruit juice and greens. Is it true that you can't mix creatine in fruit juice? You actually can mix creatine with fruit juice - and for pre-workout, it is fine. But fruit juice doesn't spike insulin like faster-digesting carbs, and creatine needs help from insulin to get into muscle cells. So don't use fruit juice post-workout, as this is when you definitely want to spike insulin for muscle recovery and growth. Q: What are the benefits of HMB? If I decide to take it, how many capsules a day would you recommend for a first-time user? Pre- or postworkout, or both? Beta-hydroxy-beta-methylbutyrate is a metabolite of the branched-chain amino acid leucine. It may help provide support against muscle breakdown and promotes muscle growth. Although HMB has been suggested to be more effective in beginner lifters and less effective in trained lifters, I have found that it is effective for trained lifters who work out very intensely and take a high dose. I think the reason that studies on trained lifters saw poor results with HMB was that the training was not intense enough to require the need for HMB and the dose was not high enough. You need to take 1-3g of HMB with food in the morning, before and after workouts and before bed. Q: Are extra amino acids a waste of time? Will I really see a difference? As a whole, they are the most critical amino acids to take. Researchers from the University of Texas Medical Branch (Galveston) found that leucine (the key branched-chain amino acid) is crucial for kick-starting the muscle growth process. Leucine is one of three BCAAs. In a study that I conducted with colleagues from the College of Charleston (South Carolina), our research suggests that trained bodybuilders taking additional BCAAs gained more than twice the strength and muscle mass - and lost more than twice as much bodyfat - as those not taking them. Q: When is the best time to take L-arginine - before a workout or before going to sleep? Arginine is best taken without food. I suggest 3-5g first thing in the morning before eating, 30-60 minutes before workouts and 30-60 minutes before bed. Q: I've been doing 20 minutes of high-intensity interval training four or five days a week after my weightlifting sessions. I'm on a reduced-carb diet and my legs are starting to lose all their energy. Should I switch to a more moderate intensity? I'm afraid I may be starting to lose some muscle. That's common when doing HIIT on low carbs. The good news is that when your legs fatigue like that, it's a sure sign that you are burning major body fat. When you are losing bodyfat, you will lose overall size, but not necessarily muscle. That's why it's good to have your bodyfat tested before you start a diet to know what you are losing. If you think you are losing muscle, be sure that your protein intake is about 1.5g per pound of bodyweight, and consider adding one high-carb day per week. Also consider supplementing with creatine and beta-alanine for the stop-and-go energy you need for HIIT. Q: I read that cyclic ketogenic diets are effective at dropping body fat and preserving hard-earned muscle mass. Is CKD relatively safe? How can I get into the ketogenic state quickly? Will vegetables and almonds/peanut butter consumption upset the ketogenic state? I also read that protein has a 58% conversion rate to glucose. Does that mean that I must be strict with my protein consumption? Yes, going ketogenic is very safe. But you don't need to be so strict that you eat no carbs and worry about nuts and vegetables. Also, do not restrict your protein (in fact, increase it) if you do not want to lose muscle. Just keep your carbs very low by eating only animal protein and a serving of vegetables at every meal. Nuts and peanut butter are fine, too, in moderation. Keep reps high (12-20) and rest low (30 seconds) between sets to burn up the most muscle glycogen. Also, add HIIT cardio to your regimen. 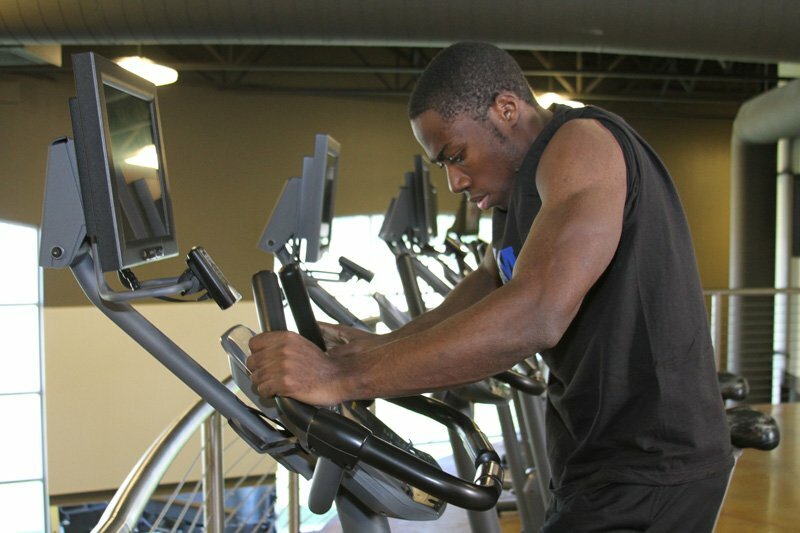 Q: Is it OK to add a scoop of protein to nitric oxide before my workout? Keep your NO product separate from your protein powder by 30-60 minutes. The arginine in most NO boosters is poorly absorbed by the intestines when other amino acids are around - you won't absorb adequate amounts to raise NO levels. If you must combine the two for convenience, look for NO boosters that use citrulline or GPLC instead of arginine, as absorption of these ingredients won't be compromised when you take protein with them. Q: If I'm taking creatine, do I need to do the loading phase first? What is a typical loading phase? You only need a loading phase if you want to see immediate results. A good loading phase should last five to seven days. Take 5g of creatine four or five times per day. Definitely take creatine with protein and carbs, and on workout days make one of those doses with your pre-workout shake and carbs, and another one immediately post-workout with your shake and carbs. Q: When reading labels, how do I know if the carbs in the item are fast- or slow-digesting? When the label says it has 16g of fat per serving but then says it has only 4g of saturated fats and 0g of trans fats, does that automatically mean the rest are poly- and monounsaturated fats? 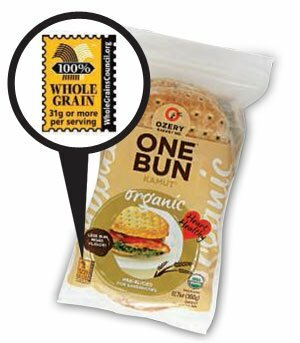 Also, the Whole Grains Council has developed the Whole Grain Stamp, which appears on products that contain at least half a serving (8g) of whole grains per serving. Products with a full serving (16g) of whole grains get the "100% Whole Grain" banner, to boot. Regarding fats, yes, the remainder would be poly- and monounsaturated. Q: I take 40-45g of protein and 5g of creatine in my post-workout shake. What is the best source of carbs to take at that time: a supplement powder I could combine with my shake or a food source? Post-workout, it doesn't matter, as long as they are fast-digesting or high-glycemic carbs. For supplements, nothing beats Vitargo in my opinion, a powdered complex carb supplement that actually digests about twice as fast as most sugars. Another option is simply dextrose powder. For foods, fat-free sugary candies are best. One company that stands out is Wonka. Many of their candies, such as Pixy Stix, Sweet Tarts and Bottle Caps are made with either dextrose or maltodextrin, which are both basically pure glucose and will spike insulin and drive amino acids, carbs and creatine into your muscles, and turn on muscle protein synthesis to stimulate growth. Slow-digesting carbs, such as most fruit, oatmeal, whole-wheat bread, etc., are not the best choice, as they keep insulin levels low and steady. Q: Is it possible to stay ketogenic with a 50g glucose post-workout shake and just fibrous carbs the rest of the day? I would not want to compromise my muscle growth during this keto-cutting phase. You really don't need to worry about staying ketogenic when you go low carb. That was one mistake of the old Atkins plan. Although being ketogenic does ensure that you're burning fat, that is more critical for those trying to lose bodyfat without exercise. If you work out regularly, you don't need to be so restrictive with the carbs, as the workouts deplete your body's stored carbs (glycogen). So, yes, I would recommend going with some fast carbs, like 30-40g of dextrose with your post-workout protein and sticking to fibrous carbs the rest of the day. Q: Is it true that higher levels of testosterone weaken the immune system? If so, what do you recommend to help keep the immune system strong? I am very active and follow a healthy diet with supplements, but still get sick about three or four times per year. Yes, there is some truth to that, since testosterone is involved in controlling the T-cells. But instead of dropping your testosterone on purpose, I suggest you keep your muscle and work to help support immune function with vitamin C (2-4g per day), vitamin D (2,000-4,000 international units per day) and echinacea (500-1,500mg per day).